FMS 2015 has been a big show this year with multiple vendors announcing new 3D NAND technologies. 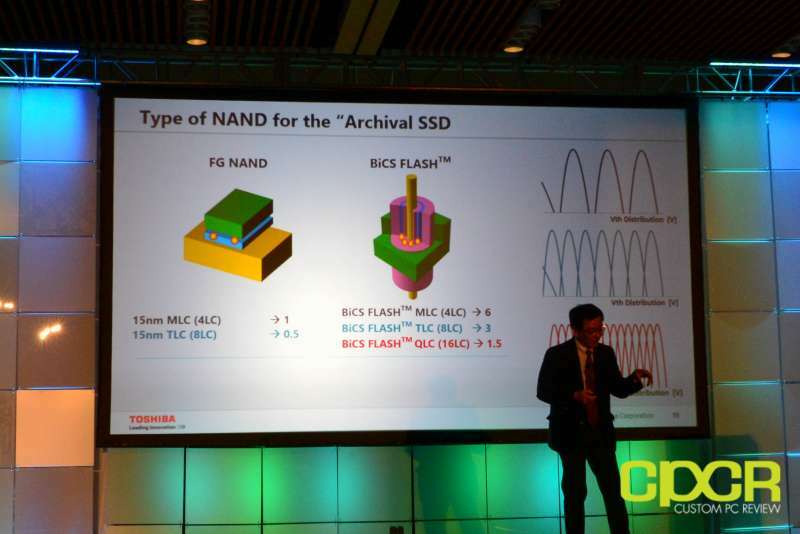 Alongside Toshiba’s announcement last week that they’re soon sampling their 256Gb 48-layer BiCS 3D NAND product, Toshiba also announced something very interesting at the show – QLC (Quadruple Level Cell) BiCS FLASH. 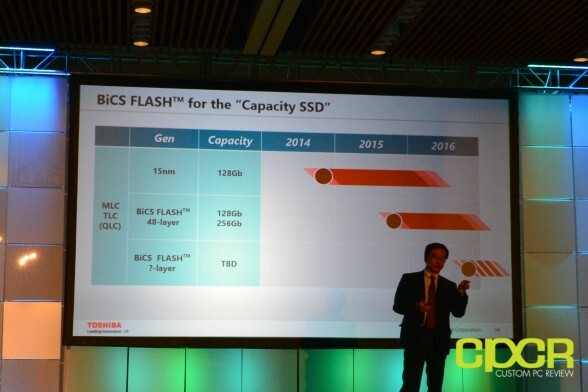 According to Toshiba, QLC BiCS is currently planned for “archival SSDs” where cost and capacity outweigh the need for performance. Toshiba believes that QLC BiCS will still carry longer endurance than current generation MLC NAND despite being able to store 4x the capacity per die. As far as I know, Toshiba is currently the only company with a QLC product on their roadmap. Toshiba has not yet announced a release date for QLC BiCS.